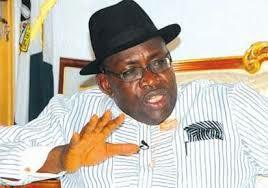 Bayelsa State Governor, Seriake Dickson, has said ‎anyone opposing the relocation of oil companies to the Niger Delta as directed by the Federal Government, is against the peace and stability of the region. ‎A statement yesterday by his Chief Press Secretary, Daniel Iworison-Markson, indicated Dickson said at a dinner organised by the state government as a major sideline event as part of the Offshore Technology Conference (OTC) in Houston, Texas, United States of America. The event, which reportedly drew an impressive audience of key industry stakeholders and captains of multinational companies in the oil and gas sector, was tagged: ‘Bayelsa/Oloibiri Round-table’. “Part of what we are doing to further indicate our seriousness to would-be investors is to provide land for their investment and fast track all titles and documents relating to the acquisition of the land complete with a signed C of O within a month.